Australia 163 and 0-40 (David Warner 29*, Ed Cowan 9*) require another 592 runs to beat South Africa 225 and 569 (Hashim Amla 196, AB de Villiers 169, Mitchell Starc 6-154). Hashim Amla and AB de Villiers punched tons as South Africa amassed a massive target for the Australians to win the final Test being played at WACA, Perth. 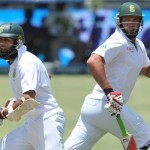 The Proteas were gone cheaply for 225 runs in the first innings but piled up 569 in the second. The Kangaroos were dismissed for 163 runs in their first innings and managed 40 runs without any loss in the second innings. 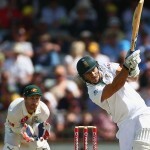 The third day’s play came to an end on Sunday, December 2, 2012, at Western Australia Cricket Association Ground, Perth. Earlier, South Africa started the day at 2-230 in 38 overs, Hashim Amla and Jacques Kallis were unbeaten on 99 and 17 runs accordingly. Amla smashed his 18th Test ton off just 87 balls on the third delivery of the day. 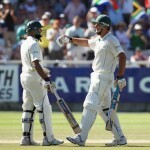 Kallis was a bit slow at the other end as Amla continued with his usual style by hitting regular boundaries. They took the score to 287 when Jacques Kallis was gone for 37 runs. AB de Villiers walked in the centre next as the flow of scoring was controlled by the Aussies bowlers until the lunch interval. Amla reached 150 in the 67th over as de Villiers found back his lost form and dispatched 10 runs in the 73rd over with 1 six and 1 four. He got his fifty in the 81st over with a four and added a couple of more boundaries in the next over as the fourth hundred of the innings appeared on board as well. 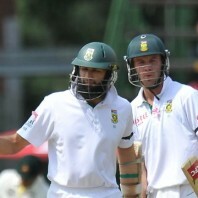 The duo enhanced the score to 436 in 88 overs when Hashim Amla was caught and bowled by Mitchell Johnson on the first ball of the next over for a brilliant 196 off 221 balls with 21 fours. 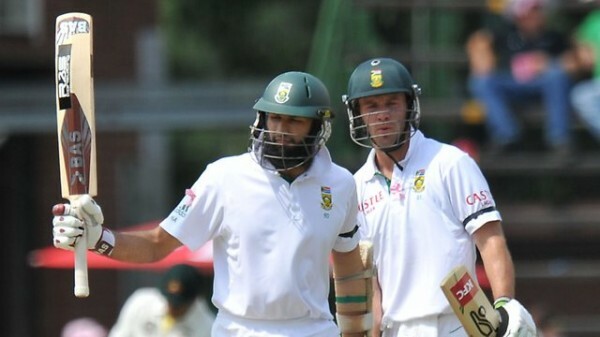 Dean Elgar got a golden duck on his debut as Faf du Plessis joined in next with AB de Villiers who thrashed his 14th Test ton in style by punishing Nathan Lyon for three consecutive fours in the 92nd over. Faf du Plessis hit the first four of his innings on the 26th ball he faced whereas de Villiers did not compromise with his aggressive batting style. Faf du Plessis opened his arms in the 101st over with 3 fours as de Villiers crossed the 150 runs mark by adding 14 runs in the next over comprising 1 six and 1 four. Faf du Plessis became the sixth victim after contributing 27 runs as the wickets started tumbling at regular intervals. AB de Villiers was finally caught behind by the wicketkeeper Matthew Wade off Starc for a hefty knock of 169 scored on 184 deliveries with 3 mighty sixes and 21 well timed fours. South Africa was bowled out for 569 runs in 111.5 overs and they gained an overall lead of 631 runs. Mitchell Starc was the pick of the Kangaroos bowlers and earned career best figures of 6-154 whereas Mitchell Johnson held four wickets. Australia required 632 runs to win the match with more than two days to spare and that is a real tough ask from the home side. They have to create a history if they want to win the ongoing Test since West Indies made a previous highest successful chase by scoring 418 vs. Australia. That match concluded on May 13, 2003, at Antigua Recreation Ground, St John’s, Antigua, under the captaincy of Brian Lara and the squad of Steve Waugh was beaten by three wickets. The Kangaroos went into their second innings with Ed Cowan and David Warner as the latter initiated his innings briskly by hitting 4 fours in the 2nd and 3rd over. Cowan played a defensive innings and scored just nine runs from 46 balls he faced and Warner was at the other end with 29 off 32 deliveries with 5 fours as the home side reached 40 at stumps on the third day. South Africa is a favourite to win the third Test with a plenty of time left in the match and Australia will be required to demonstrate excellent batting if they want to win or save the game.